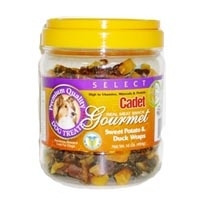 Cadet Gourmet Beef Taffy is an all natural dog treat made from premium quality esophagus. These beef taffy are filled with a real meat taste your dog will love, while promoting healthy teeth and gums while chewing. 8" to 9" long per piece. 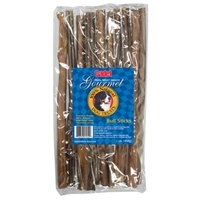 Cadet Braided Bully Sticks are made from premium quality 100% natural steer pizzle. Real meat taste your dog loves! Helps promote healthy teeth and gums. 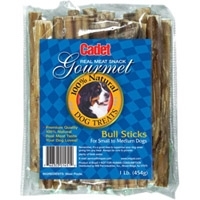 Cadet Braided Bully Sticks are made from premium quality 100% natural steer pizzle. Real meat taste your dog loves! 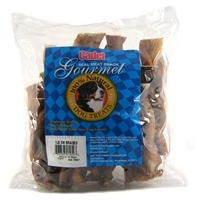 Helps promote healthy teeth and gums. .
Natural smoked knuckle bones provide a safe and satisfying chew for your dog. Cadet Bully Sticks are made from premium quality 100% natural steer pizzle. Real meat taste your dog loves! Helps promote healthy teeth and gums. 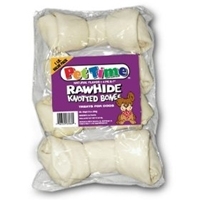 The combination of a super-hard and long-lasting bone on the outside and a tasty softer stuffing on the inside is sure to keep any dog happy and busy! Each bone is between 5 and 6 inches long and weighs between 11 and 13 ounces with the stuffing. 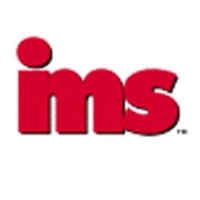 IMS Cadet Duck Breast 2 lb. 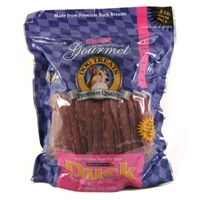 Cadet 100% Premium Duck Breast are oven roasted high protein real meat treats for all size dogs. Made from 4.5 lbs. of premium duck breast. Resealable package helps keep product fresh. 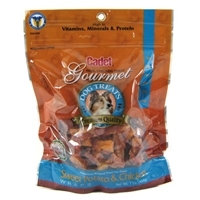 Cadet Gourmet Sweet Potato & Chicken Wraps are nutritious reward treats for dogs that are high in vitamins, minerals and protein. IMS Gourmet Natural Beef Tendons 1 lb. 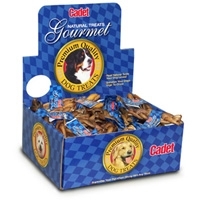 Cadet Gourmet Beef Tendon Large Dog Treats (1 lb) are 100% natural beef tendons that your dog will love! 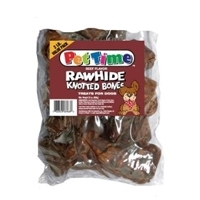 Let your best friend enjoy that real meat taste and benefit from the great source of protein this treat provides. 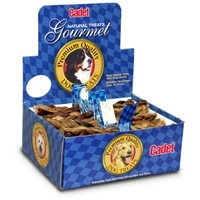 Cadet Gourmet Beef Tendons are made of only beef tendons and smoke flavor with no artificial ingredients added! 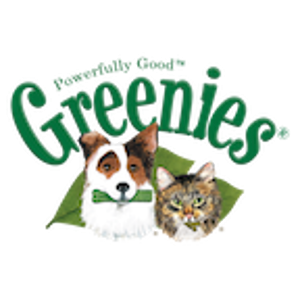 Premium quality 100% Natural Real meat taste your dog will love! Cadet Bully Sticks are made from premium quality 100% natural steer pizzle. Real meat taste your dog loves! Helps promote healthy teeth and gums. .
Cadet Sweet Potato & Duck Wraps are nutritious reward treats for dogs that are high in vitamins, minerals and protein. Great for all size dogs. Cadet Sweet Potato & Duck Wraps contains no artificial additives, colors or by-products.